eBay launched yet another program to lure consumers into selling their smartphones. eBay “Instant Selling” allows people to sell certain smartphone models and get paid instantly with an eBay voucher, without having to manage the selling process. The entire process takes only a matter of minutes, from start to payment, eBay promises. It would appear that with the new Instant Selling program eBay is using a consignment partner, possibly the same company that runs its eBay Authenticate program. eBay is obsessed with capitalizing on smartphone trade-ins, even though it’s a rather high-risk category in which to buy and sell. More information about the new eBay Instant Selling program is contained in the announcement below. 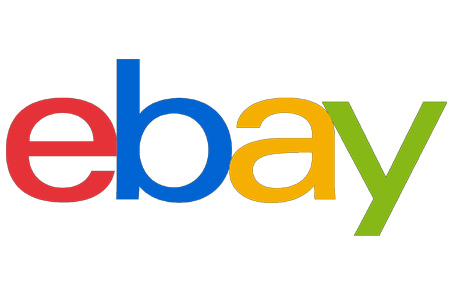 For consumers looking for the quickest and easiest way to sell their unwanted smartphones with instant gratification, eBay has announced the launch of eBay Instant Selling. The new program allows consumers to sell their devices and get paid instantly with an eBay voucher, without having to manage the selling process. The entire process takes only a matter of minutes, from start to payment. Instant Selling removes time spent waiting for their device to sell with a new option to receive instant payment in the form of an eBay voucher once the phone is listed. Standard smartphone trade-in providers typically offer 40 to 50 percent off the average market selling price, while eBay provides a higher return – up to 40% higher than trade-in values, on average(1). A recent study(2) commissioned by eBay found that while a majority of Americans (61%) have never sold or traded in a smartphone they no longer use, 2 in 5 (40%) have two or more unused smartphones currently in their home. That could equal potentially hundreds of dollars left on the table which could be applied toward a new device upgrade or anything else on your wish list by shopping on eBay. Sellers who are looking to get top dollar for their smartphone before upgrading to the latest device can make the MOST money by selling on eBay(3) compared to companies like Gazelle.com, EcoATM, AT&T, Apple Give Back program and Verizon. To get started, visit https://www.ebay.com/s/phone and find out how much your current device(5) is worth. 1 Based on eBay’s average selling price compared to Gazelle, EcoATM and AT&T trade-in sites. 2The eBay Phones Survey was conducted by Wakefield Research (www.wakefieldresearch.com) among 1,000 nationally representative U.S. adults, ages 18 and older, between September 20 and September 25, 2018, using an email invitation and an online survey. Quotas have been set to ensure reliable and accurate representation of the U.S. adult population 18 and older. 3 Based on eBay’s average selling price compared to Gazelle, EcoATM, AT&T, T-Mobile, Apple Give Back and Verizon Trade-in. 4 Prices for Instant Selling reflect the anticipated average price of the program. 5 Instant Selling eligibility currently includes Unlocked, Verizon and AT&T, Samsung Galaxy S7 to S9 +, Apple iPhone 6S 16GB – iPhone X 256GB. T-Mobile, Sprint and Google Pixel and select LG products will be available in November. The tech guy on the local news had a story on this this morning. He emphasized that you only get a credit for future purchases, not cash, so the seller might want to check out other phone buying sites that give you actual money for the phone.